The 16th annual Antimatter runs October 18 to November 3, 2013, an extended timeline to allow for an expanded focus on media installations. 25 FPS Festival is looking for expressive original concepts, progresses in terms of theme, idea and aesthetics, as well as works that perpetuate the tradition of avant-garde and experimental film. Innovative films that explore the possibilities of cinematic language, narration and the medium itself, cross film types and genres and broaden the notion of film as art. For the Competition Programme we accept films completed after 1st January 2011, and not longer than 60 minutes. Submissions can be made via link or DVD, and deadline is 15th May 2013. Online Entry Form 2013 is available here, as well as Regulations for submission to the 9th 25 FPS Festival edition. Founded in 2005, WNDX places special attention on the most innovative and ground-breaking work by Canadian filmmakers and video artists, with a special focus on the work of Manitoba and prairie artists. We celebrate the impetus to create in motion pictures as a means of artistic expression and bring to the forefront works that may be overlooked by the mainstream. 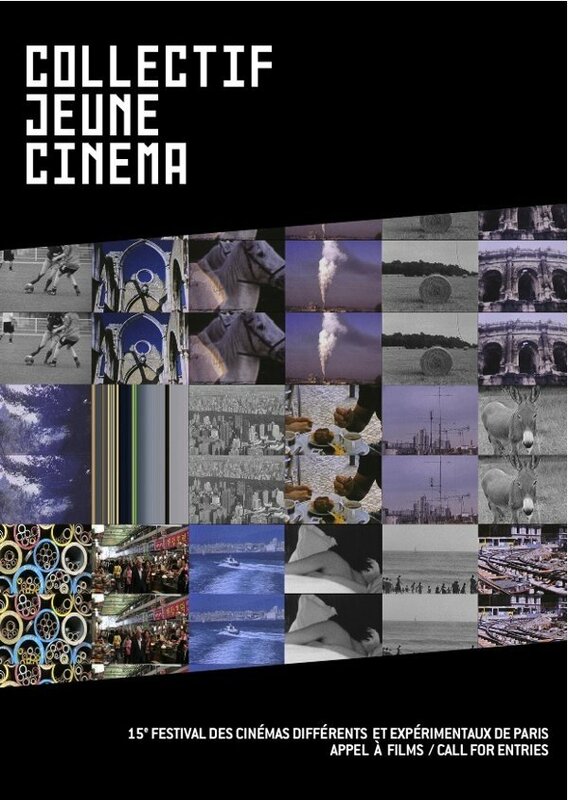 We consider all moving image art practices, including film, video, performance, installation and new media forms. WNDX is a film festival that was created by filmmakers, in support of filmmakers. The Studio Two Three Film + Video Series is now accepting submissions for our "Foraged Footage" event. We are seeking submissions for found footage films and videos. This includes all walks of found footage work, including internet videos, mashups, montage compilations, you name it! We are seeking short videos, under 10 minutes in length. This is a call for student work as well as established film and video makers, please email with any questions. The Event will be held on April 25 from 7-9pm, in Richmond, Virginia, USA. This year, the festival will take place in autumn, from October 15th until the 20th. The call for entries is now open. We aim to carry on what was initiated in the previous years in order to give visibility to a wide spectrum of current experiments in cinema. This year, in parallel to the films in competition, the «Focus» program will address the use of archival images as traces, materials and collective histories of moving images. Black Box at Edinburgh International Film Festival invites experimental submissions of any length, both film (16mm, 35mm) and video. Black Box is EIFF's dedicated platform for showcasing experimental cinema from around the world. Short and medium-length works on any format. As always, Black Box supports and encourages works on film - we have a super-dedicated team of projectionists and excellent 16mm and 35mm facilities. We also do our best to cater for screenings requiring multiple projectors. 2013 also sees the introduction of Black Box Live, an evening of expanded performance. Submit online, by post (download the postal submission form) OR via the submission platform Withoutabox. Submission process: http://www.edfilmfest.org.uk/submissions. Remember to contact the programmer Kim Knowles to get a fee waiver. Deadline: March 1st, 2013 (Postmark). No entry fees! Media City is an annual international festival of film and video art presented in Windsor, Ontario and Detroit, Michigan since 1994. Each year the festival attracts filmmakers and audience members from around the world to participate in five days of screenings, live performances, exhibitions and artist’s discussions. Over the years the festival has achieved critical acclaim and international recognition for its “sheer excellence in programming” and is recognized as a leading venue in the world of artist’s film and video. Download the festival entry form, complete it (on your computer or by hand) and mail it with your entry. It is not necessary to sign the form (electonically or by hand). See the regulations (aussi en français, español, 日本語) and FAQ (English only) below for more information. VIDEOHOLICA Video Art Festival in Varna, Bulgaria starts the new open call for video art submissions for its 6th edition. The 6th VIDEOHOLICA will take place between 1st and 5th August 2013 in Varna, Bulgaria. The theme of VIDEOHOLICA 2013 is [OUT OF FOCUS!]. The 6th VIDEOHOLICA edition pleads defocusing. Visually, VIDEOHOLICA [OUT OF FOCUS!] pleads against the idling mainstream tendency “everything to be in focus” and against the luxurious advertising image, which is digitally improved and cleaned up from “mistakes”. Creatively, VIDEOHOLICA [OUT OF FOCUS!] pleads for a creative approach, which doesn’t follow the convenient slant of the tendencies. It is that approach, which uses allegorical language and speaks about things without pointing them out, describes them between the lines without “focusing” the camera directly in a point. Politically, VIDEOHOLICA [OUT OF FOCUS!] pleads those alternative views of the problems of today’s society, which are out of focus of the news, and which are not on the agenda of the political analysis of the global community. VIDEOHOLICA [OUT OF FOCUS!] pleads that outburst of “creative insanity”, after which the world is not the same any more. [OUT OF FOCUS!] is both “blur” and “fog”, but it is also beyond this. This year's VIDEOHOLICA festival will be composed of the following sections: video art, short films and animation. Triggered by the case against experimental filmmaker Lawrence Brose, Termite TV is producing a show about art and censorship. Purpose of program: In this program we seek to show our solidarity with Lawrence Brose by addressing some of the pertinent issues this case raises (such as artistic censorship, prosecurial overreach, freedom of speech, criminalization of gay art), as well as related issues connected to Lawrence and his artwork. As this case is still ongoing Lawrence himself cannot be interviewed for this program. Experimental work is welcome. We are interested in pieces that captures some aspect of the emotional and intellectual impact of this case and the events surrounding it. Please contact coordinating producers Dorothea Braemer at [email protected] or Joanna Raczynska at [email protected] to discuss your idea before you submit work.